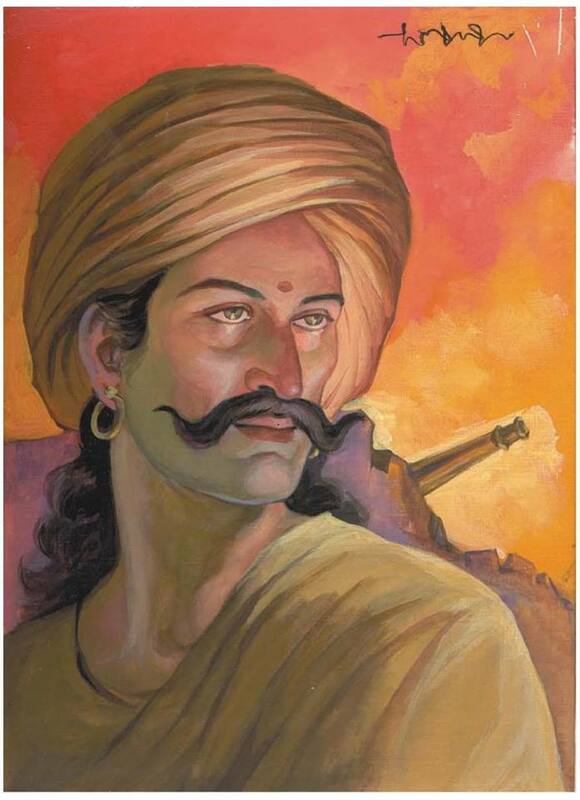 Our history books do not talk much about Sangolli Rayanna.He doesn't feature in the list of the greatest freedom fighters when being mentioned by our Government, His birth centenary and death anniversary isn't celebrated as how its done for other leaders who fought for freedom struggle. But he is one of the greatest warriors of all times, he was the army chief in the kittur Empire , present day it is located in Karnataka. Exercising Guerrilla Warfare tactics he fiercely fought the British East India Company much before the rebellion of 1857. We Indians should at-least remember and know about this true patriot who was the first person to fight foreign oppression of our Motherland. He was born on 15th August 1798 which incidentally is Indian Independence day. He was hanged to death by the British on 26th January 1831 which incidentally is Indian Republic Day. He was hanged to death exactly 100 years earlier to the execution of Rajguru, BhagatSingh and Sukhdev in 1931. Rayanna's grave is 8 feet long because Rayanna was over 7 feet tall. Legend says that a close associate of Rayanna planted a Banyan sapling on his grave ,the fully grown tree stands to this day.